I think the best hostel if you want to restore: Perfect showers, beds, pillows and the room will be dark all day if you want. Krabi Town is nog the nicest place to stay, but you can easily go to some super cool beaches. Also in the weekend there is a cool nightmarket realy nearby the hostel. The owners of the hostel are realy realy realy nice! They are very helpfull and kind. 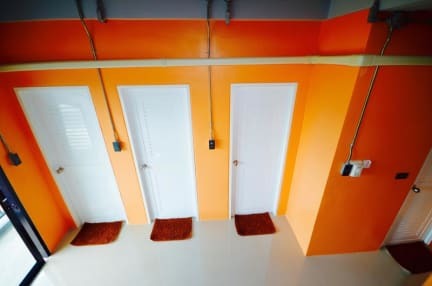 And about the hostel: it’s super cool and clean. It looks realy nice. 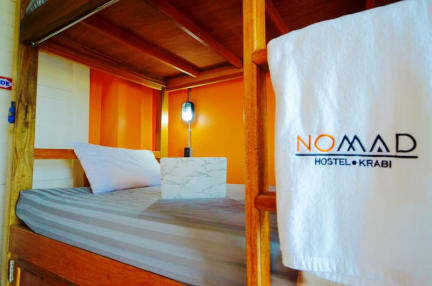 I definitely reccomend this hostel for your stay in Krabi Town! Ik denk dat dit bijna niet overtroffen kan worden. Met name de service springt er uit. De familie die dit hostel runt is super lief. Ze brachten mij bij gebrek aan tijd naar de pier voor een tour en weer terug. Helemaal gratis. Socializen ging wat minder maar het is dan ook zeer lokaal. The owners are really nice and helpful. I needed earplugs because of the busy street but apart from that had a great night in a comfortable bed! Easy to get to with a songthaew. Amazing place for a stopover to other places. Good facilities and great beds to recharge. Not the best location if you want to explore Krabi itself. One girl from the staff is amazing, but it can be a bit hardet when she is not around.